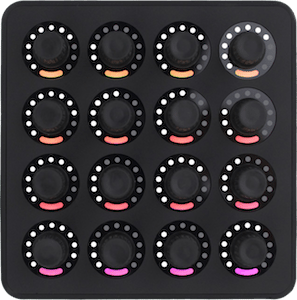 We recently enhanced our Midi Fighter firmware with a new Ableton Mode which allows the entire product line to play super friendly with Live. One of new features is the ability to assign any parameter in Ableton to be mapped as “momentary”, meaning that any button on your Midi Fighter can be mapped to turn on parameters when you hold the button down and back off when you let go. 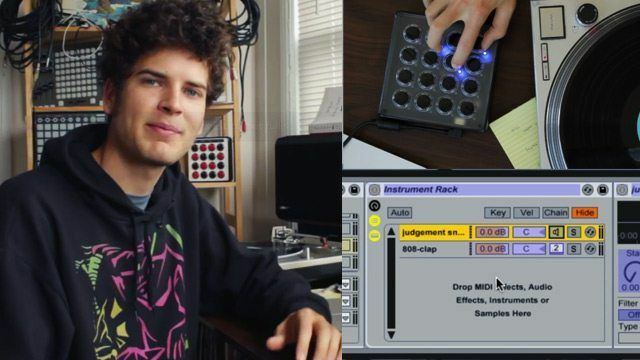 Today, our resident Ableton master Mad Zach shows off three ways to use the new function to create dynamic, inter-dependent controls in Ableton Live – watch the full show from his studio inside! Let go of the first button – now your assignment is momentary! Exit MIDI map mode using the same command and rock out! Using this approach we map buttons on our MF to activate and modulate effects in a momentary fashion. This is perfect for integrating into a DJ set, simply use the momentary mapping technique to assign to the ON switch on your effect, and then make a few more assignments on various parameters. This becomes especially awesome when paired with a knob or fader macro, so you can activate an effect and twist your knob through a modulation, then let go right before the drop for extra drama. The cool thing about this technique is that it allows you to play effects like instruments and create some really interesting modulations. Store multiple samples in the same slot in a drumrack. 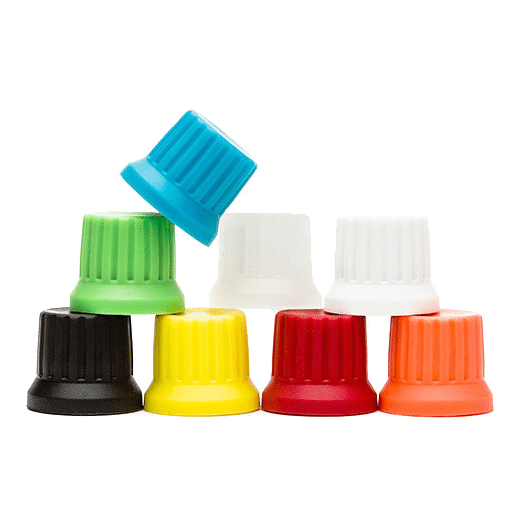 This is perfect for creating hyper-dynamic finger drumming routines. For example, alternating between a “subby” breakdown kick and a punchy drop kick simply by holding down the buttons used for the breakdown. Another great example is turning on arpeggiators, filters, FX, or sampler parameters on other slots by holding down certain buttons – in the drumrack tutorial you can turn on a repeating hi-hat rhythm when you hold down the primary bass drop button. 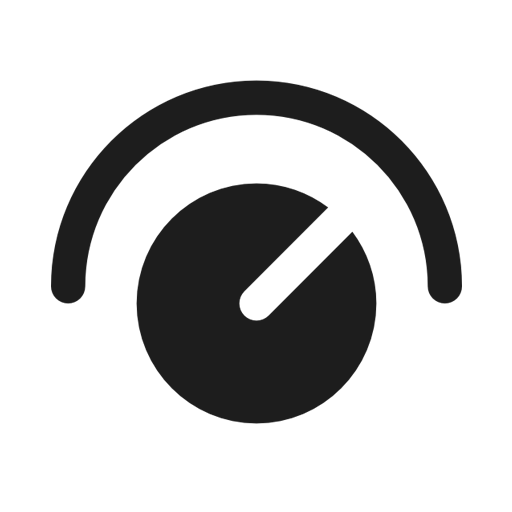 Leave one slot blank in your drumrack, then momentary map this button to “track on” for your turntable input. Throw on some compression, side chaining, and FX for flavor. I like to replace the hi-hat (or layer it in) with a scratch transform, then layer in a variable bass sound with the kick to fill the routine out. 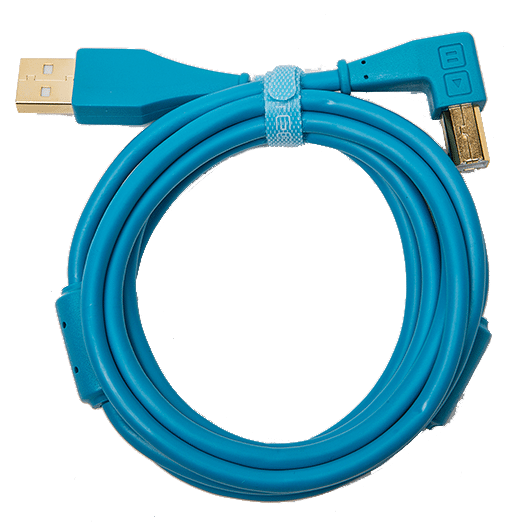 If you just want to create a momentary assignment, it is possible to use Midi Pipe (or Midi OX on PC) to “swallow” the note-off messages and achieve a similar momentary assignment. 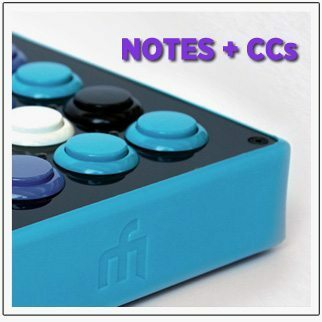 Additionally, many controllers can send either CC or note (such as the Trigger Finger), if you have such a controller you can use a CC to make a momentary assignment. 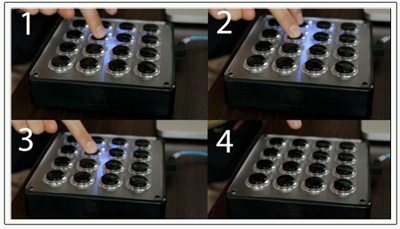 But the true magic behind this trick is that the Midi Fighters have an integrated dual-messaging system, which means that each button sends BOTH a note and a CC. 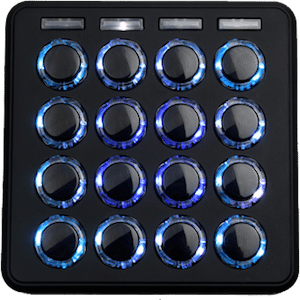 We didn’t stop there – after extensive testing between the Midi Fighter’s lead engineer (Cheers, Mike!) and myself, we were able order the messages in such a way that you can easily assign a parameter to be either traditional “toggle” or “momentary” depending on how you press your buttons while assigning. Although these two advanced features aren’t currently available on other controllers, technically it could be possible to create a work-around using Max for Live. As a disclaimer: I did spend a fair amount of time working to create this effect in Max, and although I was able to get the buttons to act momentary, they were constantly getting stuck when I would “mash too hard” and I was not able to easily differentiate between note and CC while making assignments. In attempting to recreate this effect, I recommend adding a CC to each button, and then either developing an interface for differentiating between the two types of assignments while mapping, or playing with the way your patch orders the two types of messages. Calling all MAX/MSP wizards! Whoever can first create a Max for Live patch that accurately mimics this functionality will win a Midi Fighter of your choice. For your effort, you’ll be credited for developing the patch, which we will distribute on our site as an official momentary M4L patch, and give you full credit and links back to your own Soundcloud/Portfolio Site/Resume/Photo Gallery of Adorable Kittens. 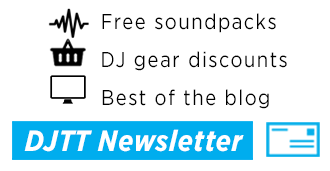 If you think you’ve got it cooked up, shoot me an email – madzach (at) djtechtools (dot) com. If you’ve got any questions about this tutorial, feel free to ask away in the comments below and I’ll answer them!